You did not forget about Palladium Books over the weekend, and we have not forgotten you. Palladium is extending its Black Friday sale, plus we added a few extra items for a Cyber-Monday and Tuesday sale. We know you will be busy trying to get back into work mode after the long weekend and shopping for other Cyber-Monday deals, so we are making our special sale items available Monday and Tuesday. Sale ends at Midnight, Tuesday, November 29, 2016! 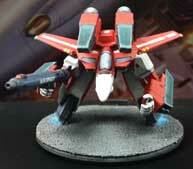 Robotech® RPG Tactics™ Core Box – Cat. No. 55100 – $49.98 – Half off! Five days only. 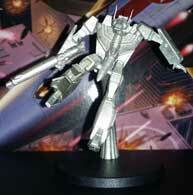 Robotech® RPG: Shadow Chronicles™ Hardcover – Core Rule Book – Cat. No. 550HC – $15.48 – half off! Monday and Tuesday only. Rifts® Ultimate Edition Core Rule Book – Cat. No. 800HC – $19.98 – Half off! Five days only. The Rifter® #75 (contains the “official” Rifts® Primer and adventures, and Rifts® Savage Worlds® preview) – Cat. No. 175 – $6.98 – half off! Monday and Tuesday only. Palladium Fantasy RPG® Core Rule Book – Cat. No. 450 – $13.48 – half off! Monday and Tuesday only. The Rifter® #73 (contains “official” Palladium Fantasy source material and other official source material) – Cat. No. 173 – $6.98 – half off! Monday and Tuesday only. And do not forget the best sale a gamer could want, the Palladium Christmas Surprise Package, described below. Now that our Kickstarter backers have had plenty of time to order these items, we are making them available to anyone who may want them. They are beautiful, fun and only have 4-6 parts, so they are easy to put together. They look awesome on your shelf or in your game. Get yours while supplies last. UPDATE: Christmas Surprise Packages – the best deal of the holidays – Less than 4 weeks till Christmas! The best deal of the holidays! You are likely to pay $40 for just a single core rule book, but for $45 plus shipping, you can get 4-6 books in a Surprise Package, depending on their retail value. Or you can get that core rule book and 2-4 sourcebooks. And we will sign the books if you request it. How do you beat that? It is the best deal in gaming! And it is a great way to try Palladium’s games or a new setting or fill in holes in your collection. I have been packing Surprise Packages with $94-$100+ worth of goodies. And we have been pounding out Christmas Surprise Packages as fast as they come in. Our way of making the holidays special for you. Please spread the word to gamers everywhere. People only learn about the Palladium Christmas Surprise Package offer by word of mouth, The Rifter® and our website, so please post and spread the word everywhere. Seriously, post everywhere. 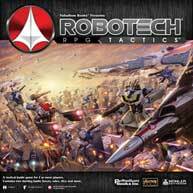 The Grab Bags are a great way to try Robotech® RPG Tactics, Rifts® and any of our games. Let Savage Worlds gamers and others know about this great deal, too. Pick up one for yourself and for every gamer you know! A bargain and fun for you, and our way of saying thank you to our loyal fans. We love delivering a little Christmas cheer and putting smiles on the faces of some big kids around the world. For you, it is a great way to get presents for your gaming pals, fill holes in your collection, or try new games and settings. For us, it’s being Santa Claus to the greatest fans on the planet. $90-$100 (or more!) worth of Palladium Books products for only $45 plus shipping and handling. You are guaranteed to get an absolute minimum of ninety dollars ($90) retail value in your Surprise Package. Most of the time you get $92-$96, often more! Santa Kevin likes to make gamers squeal with delight and often packs $96-$105 worth of goodies into many Surprise Packages. It’s a surprise package because you never know exactly what you’re going to get or who will sign your books. We try to include many of the items on your “wish list,” but we will surprise you with stuff you are not expecting. Things like a special print(s), or issues of The Rifter®, or a Palladium RPG or sourcebook(s), special edition comic book, or other items that we think you might enjoy. Plus you can ask for unusual items, or special gold editions, art prints, and maybe even some original art. All items are hand-picked by Kevin Siembieda from YOUR “wish list.” ALL with autographs IF you request them. For many of you, this is the only way to get autographs from Palladium’s staff, artists and writers! And you can order right now! Your “Wish List” – The Palladium Surprise Packages are designed to simulate the fun, joy and surprise of the Christmas Season of Giving. To do this, you submit a list of 10-15 Palladium products (or more) FOR EACH Surprise Package you order. This list of 10-15 items for EACH Grab Bag is critical, because you will not know which items you’ll be getting. That makes it just like a Christmas gift because it’s a surprise! Plus, Santa Kevin, who personally hand-picks every item for every Grab Bag, may toss in something extra like a limited edition print or T-shirt, or issue of The Rifter®, or something else he thinks you’ll enjoy. Available now! You can order right now thru December 24, 2016. And Christmas Surprise Packages are not just for Christmas. Whether you celebrate Christmas, Hanukkah, Kwanzaa, or the Winter Solstice, or you’re looking for a gift for a birthday, anniversary, Valentine’s Day, or any special occasion that falls between now and February, a Surprise Package may be the ideal way to go. You get a ton of stuff on the cheap, you can get a bunch of autographs, and you look like you spent a fortune. Offer ends December 24, 2016. Click here for more details and to place your order. The low cost of the Surprise Package mitigates the cost of shipping. It is, in effect, the equivalent of getting the books you want at retail, plus autographs, and paying the equivalent of only $5-$20 for overseas shipping! How can that be? Well, if you factor in that you are getting say, $100 in product, but only paying $45 for them, and shipping is, say $60 or $70, that’s $105 or $115 total – which is like $5-$15 in shipping for $100+ worth of product. And I always load up foreign Surprise Packages, so make sure you send a long Wish List! Of course, the purchaser is responsible for any Customs fees, taxes and other fees, but since we are selling you a $45 Surprise Package (not $100+ in books) you should only pay on a $45 purchase. MANY overseas customers take advantage of the Surprise Packages for this reason! And it is likely the ONLY way for you to get autographs. Give it a try, we don’t think you will be disappointed. This is the time for our friends and fans overseas to load up on the Palladium products they have been wanting! Enjoy. Please note that Palladium Books has NO control over the cost of shipping/postage, nor the brokerage fees, Customs charges or any other related fees charged by other countries. Within the USA, Media Mail is the least expensive method of shipping, but also the least reliable and slowest. To our Canadian customers, we have no idea why it costs so much to mail books and product to you. So much for NAFTA making things easier. Game on.